Past Threads can be found by searching the forum. Every Year, a NEW THREAD will be opened by a Moderator or Administrator of this site. ANY and ALL Callaway-related ads can be posted in the thread. This will replace the previous thread, and the Callaway Owners Group Marketplace. Any comments about the prices or conditions in relation to value should be in a SEPARATE THREAD and in line with what is generally considered proper etiquette when it comes to an ethical business dealing - Bottom line, unless you have gone and looked, driven, or know the history of a certain car, please do not make any disparaging remarks. Again, if there are specific questions on a car, it is best to form a thread asking your questions, just to keep the listings page fairly uncluttered - comments / other posts, WILL BE moved or deleted at the sole discretion of site mgmt. This is the very first Callaway AeroWagen and features a great history! 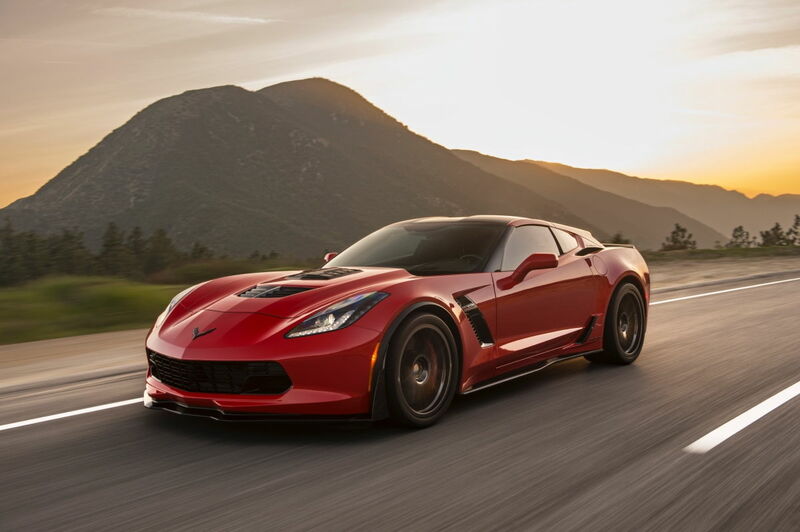 Our 2016 Callaway AeroWagen SC757 Z06 features nearly all options for the Corvette Z06. Including the highest trim level, 3LZ, plus the venerable Z07 Performance Option Group which includes Carbon Ceramic Brakes and Level 3 Aero. New, our company invested $144,000 in this vehicle, up-fitting with the Callaway SC757 Supercharger Package, Callaway AeroWagen, Callaway Wheels, Callaway Sport Exhaust, and other options. There is professional window tint (35% on sides). For replacement value, this car would cost even more today to replicate!! Our car has the highly desirable Z07 Package and 3LZ Trim, Carbon Fiber instrument panel trim, Jet Black interior with leather seating surfaces and red stitch highlights on seats, instrument panel and door inserts, and Competition Seats. It features the optional 8-Speed Automatic Transmission with paddle-shift controls. Also fitted to this car, are a set of extremely rare Callaway "B2K Anniversary" 19" front and 20" rear wheels which are finished in a brilliant Black Chrome finish. *Note, the Level 3 Aero front splitter was scraped and removed, replaced with a standard front splitter (see images #2 & #3). Will replace the splitter with Level 3 Aero part, if the Buy-It-Now price is utilized. Z07 Pkg. tires were replaced. Car now rides on Michelin Pilot Super Sport Performance Tires - This car presently has 38,000 miles and is garage kept. Rear brake pads were replaced about 1 month ago. Front pads have about 50% life remaining. As we drive our car weekly, mileage may change somewhat. Ask for present mileage, prior to close. This car is in great condition, like new, and was used for our company as Reeves Callaway's executive demo vehicle also utilized for press and promotion opportunities throughout our ownership. It's been featured in numerous magazine/blogs, plus on television/video programs, the Mothers Polishes "Speed" Commecial. It was also featured on Jay Leno's Garage (see pics), Fox News (Mornings w/ Maria), Motorweek TV, and countless other articles and features. This car has been to many auto shows and events, and is recognizable as such. This is a VERY special car. We used this car the past ~14 months for promotion of the Callaway AeroWagen and SC757 Package for the Z06 / Corvette, featuring the Callaway GenThree Supercharger as the cornerstone for its performance. The Callaway AeroWagen Hatch assembly is a panel-for-panel replacement of the rear hatch, offering distinctive styling, and the practicality of an ~ additional 2 cu. ft of luggage space. We also fitted this car with a set of wheels from our RPO B2K 25th Anniversary car, which look amazing. Driving this car is an experience, and a LOT of fun! We've taken the car on two-week trips, including the Corvette Rally to South Dakota, where the added trunk space was essential for the extra luggage for two. Stylish and practical, the Callaway AeroWagen is the ultimate grand touring sports car. The Callaway GenThree Supercharger is packed full of features, delivering maximum efficiency and performance from the heart of its TVS2300 Eaton rotor pack. Eaton’s 2300cc TVS rotor pack was selected for its high thermal efficiency, OEM-certified quality, and service-proven reliability. Since it doesn’t have to fit under a stock hood, the rotor pack’s displacement is 32% larger than the stock Z06’s 1740cc supercharger. Low restriction intake systems further enhance inlet air capacity. To reduce power-robbing parasitic drag, an internal bypass diverts the inlet air flow path during idle, low-load cruising and deceleration, allowing the supercharger internals to spin freely. Consequently, fuel mileage is practically unchanged from stock fuel mileage. In fact, the GenThree supercharger system’s technical features are significant enough that utility and design aspects of this system are patented with the US Patent and Trademark Office. Developed for the Callaway Corvette, Callaway’s third generation “GenThree” supercharger system is a completely new, in-house design. The GenThree supercharger system delivers amazing performance. While providing more horsepower and torque, it eliminates the power-robbing heat soak phenomenon that other superchargers inherently produce. Callaway engineers designed the GenThree supercharger housing and integrated intake manifold to reduce charge air temperature and to increase airflow quality for more power, and more consistent power. In the previous Callaway Corvette supercharger design, charge air exiting the supercharger was directed through a single liquid-air intercooler and then downward into a log-style manifold, with virtually no manifold runners leading to the cylinder head ports. While this configuration performed remarkably well, there was room for improvement. For GenThree, Callaway engineers rotated the supercharger rotor pack assembly 180° to direct charge air up, toward the top of the housing, through a primary intercooler and then around the sides of the housing. This intercooler conducts heat from the charge air to the intercooler coolant. The coolant is circulated through a heat exchanger in front of the radiator, where the heat is radiated into the atmosphere. The cooled air exiting the intercooler then flows through the upper section of the supercharger housing. Since the housing extends through the Corvette hood and is exposed to ambient temperature, convective heat transfer removes additional heat from the charge air as it passes over the internal surface. Finally, just before reaching the cylinder heads, the inlet air passes through a set of auxiliary intercoolers – one for each bank – and still more heat is removed. This three element, TripleCooled™ design allowed the engineers to utilize very low restriction intercoolers, minimizing charge air pressure reduction. The engineers’ theory was proven beyond any doubt. During dynamometer testing, inlet air temperature increased by less than 10°F during dyno pulls, compared to increases of at least 35°F with other supercharger systems. Eliminating the “heat soak” phenomenon inherent with supercharging, GenThree provides more consistent lap-to-lap performance at the track and run-to-run performance at the dragstrip, as well as eliminating power loss during extended towing or hauling. Callaway’s engine management calibration provides perfect street manners and emissions compliance in all 50 states. A standard 3 year/36,000 mile (60,000 km) Limited Warranty comes with every Callaway car and truck, demonstrating the Company’s conviction in its product quality. An optional 5 year/60,000 mile Limited Powertrain Service Contract which matches the GM powertrain warranty term is also available (added cost). Callaway "B2K Anniversary" 19" and 20" wheels. Wear is virtually nonexistent, with only a few discreet marks in the paint on the nose and brake duct openings, which are too slight to photograph, but noted in the interest of disclosure. Vehicle was detailed several times per year, professionally, by the Mothers Polishes crew at various events. This car looks virtually new! As of today, we would not hesitate to get into the car and drive it across the country. It needs nothing but a new owner. Mileage is from numerous cross country trips to Corvette events and other promotional activities, coast-to-coast. Highly optioned, all aspects of this vehicle are functional, and the balances of GM and Callaway warranties apply. Don't miss this rare opportunity! On this car, Callaway will supplement the powertrain coverage for 12 months or 12,000 miles, whichever comes first. Our vehicle is on the road this month. Fly in, drive home in your Callaway SC757 Z06 Corvette! Condition is described to the best of our knowledge and mileage is subject to change. Vehicle is for sale locally, and may be subject to prior sale. Of course, any questions - please ask. We will work with your transporter to ship the car after funds clear. Payment is to be made in the form of a bank wire transfer or certified bank funds. Non-refundable $1,000 deposit required at the time of sale. Balance-due within 7 calendar days. All warranties are balances of factory warranties which remain in effect and can be extended for an additional cost. Please inquire if interested. 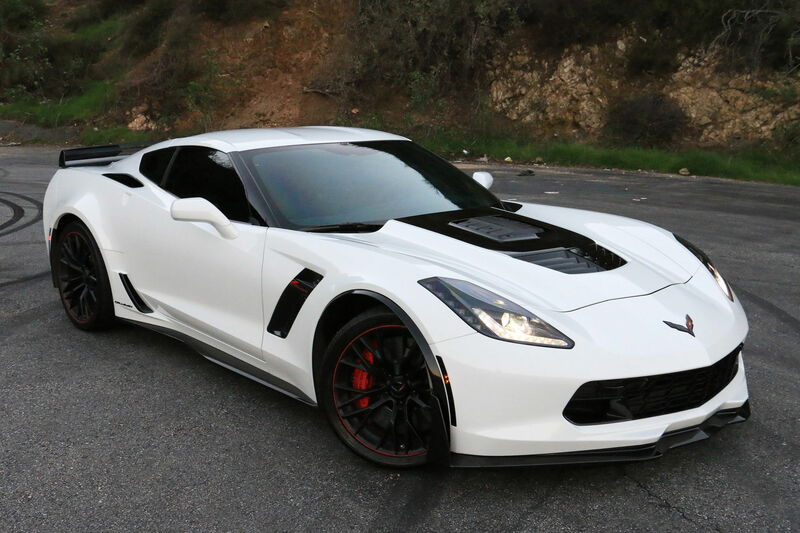 This Callaway SC757 Z06 features nearly all options for the Corvette Z06. Including the highest trim level, 3LZ, plus the venerable Z07 Performance Option Group which includes Carbon Ceramic Brakes and Level 3 Aero. Surely the most widely seen and featured fourth generation Camaro (1993-2002) ever built. This Callaway Camaro C8 prototype #000 was the featured car on the cover of Motor Trend magazine’s March 1994 issue as the “World’s Baddest Camaro”. OZ Wheel’s U.S. national print advertising campaign used the tagline “Driving the World’s Fastest Cars”. Magazine features include appearances in Motor Trend, Road & Track, Automobile, Autoweek, Super Chevy, Car Collector, Corvette Quarterly, and Sportscar International, among many others. Interior redone by Johann Merkhofer, one of the finest leather craftsman in the world. Reeves Callaway specifically picked the custom colors and design for the leather front and rear seating and doors. 17” OZ Italy Monte Carlo modular wheels with Pirelli PZero tires. I am the original owner of this car which cost new almost $50,000 in 1993 ($85,000 today’s dollars). I special ordered the car from a local Ft. Lauderdale dealer in August 1993, sent it immediately to Callaway in Old Lyme CT for modifications and then it was shipped to its world debut at the 1993 LA Auto Show a couple months later. Included with the car are all the original documentation, correspondence, invoices, magazine articles and build pictures. This Camaro is extremely unique, historic and ready for car shows as it’s been in hibernation from the public for over 20 years. It has recently had fresh service including new fluids and oils. Timing is just not right yet. The opportunity to buy another interesting project car has come up, so I am considering selling my 1988 Callaway B2K. It is number 12 of the 1988 cars. Matt Farrah came out to Texas and drove it back in November. The car makes 476whp/612lb ft of torque and is currently tuned for E85 only. If the new buyer wants a pump gas tune that is possible, but it will be at a lower figure/less boost. Probably 400whp. I think I have about 67,000 miles on it and I have had it for just over four years. The motor is the original long block. We added a TPIS roller camshaft, 1.5 roller rockers, upgraded push rods, ported lower intake manifold, ported the runners, ported/siamesed the upper plenum. Stock throttle body with an air foil. I have a 52mm TB that I have not installed that I will include with the car. I installed 6" fans in the hood ducts above the intercoolers for better air flow. The exhaust is a Magnaflow dual 3" exhaust. I have the original square tips, but the original exhaust was in too bad shape to save. The original Microfueler was dead when I got the car so that has been replaced with a ECUMaster DET3. The primary injectors are 48lb and the secondaries are 120lb injectors. The fuel pump has been changed to a larger Bosch 044. The master cylinder and brake booster have been replaced and the pads are Hawk HPS front and back. It stops really well for a C4 and even though Matt overestimated the brake performance they are actually very good, just not like C7 brakes, haha. Carpet and interior are in good shape. I have a set of matching floor mats, and a set of the plastic "bucket" style floor mats as well. There is a small hole near the dead pedal that isn't noticeable. The weatherstripping is original, it's not awful, but I have a whole new set included with the car. This was originally a solid roof car, but I have also sourced a clear roof, but it's not genuine GM. I have an owner manual (reprint) and original 1988 Corvette and Callaway brochures as well. Anyway, $25,000obo for one hell of a fast Callaway Corvette. Tell your friends and let me know if you have any questions. Beautiful car and arguably one of the best of the breed being a "500" car! Hopefully, this will go to a new caretaker soon! Hey Surf... there is an 88 vert on ebay! Dymags come with it! I saw that...I’m not really a vert guy I mean a series 500 91 Aero vert could convert me but I prefer a coupe. The C6 SC606 has been appealing to me since I have no time to wrench anymore.